Good skin compatibility been confirmed by independent institutes. 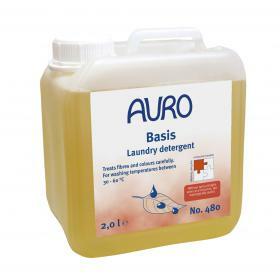 Scent-free, liquid laundry detergent gentle on the fibres for wash temperatures of 30-60°C. The product has been dermatologically tested (on people) and its very good skin compatibility been confirmed by independent institutes. Add our softener component in case of hard water, add our bleach component when washing whites. Contains no optical brighteners and is thus specially recommended for coloureds.